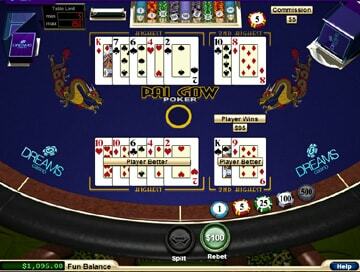 'Blackjack for Poker players' is how you could describe Pai Gow Poker. Like Blackjack, it's a fast-paced, you-against-the-dealer type of game, but with strategy based on a knowledge of Poker hands. It's played with a standard deck of 52 cards, but with the addition of a joker. In Pai Gow Poker the purpose of the game is to make two hands - one of five cards and one of two - to beat both of the banker's hands. The rules of Pai Gow Poker are relatively simple: each player receives seven cards and splits them into two separate hands - a hand of five cards, called 'the back', and a hand of two cards, called 'the front'. NB The five card hand must always rank higher than the two. If both hands beat the dealer's hands, the player wins even money or 1:1 for their bet (though the bank takes a 5% commission from your winnings). If both hands lose, the dealer takes the bet. 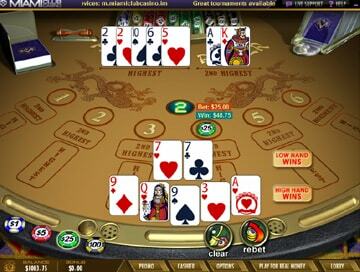 If you win only one of the two hands, the round finishes in a tie and your bet is returned to you. 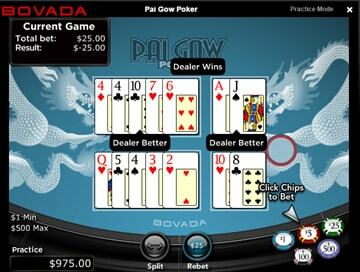 Winning both hands in Pai Gow Poker is not as easy as it may seem. Quite often, you'll have to compromise one hand in order not to lose, rather than to win (this is explained fully in our page on Pai Gow Poker Strategy). As a result, you should consider the game as an evens chance bet, suited to lower-risk players who enjoy turning a steady profit without risking too much. 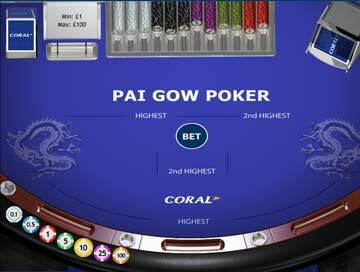 Bonus Pai Gow Poker (sometimes called Fortune Pai Gow) is played in exactly the same way as normal Pai Gow Poker, except that you're given a bonus payout of up to 8000 times your bet if you place a bonus bet and your seven cards hand contains a winning combination - regardless of how you set the front and back. 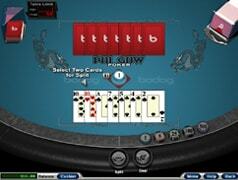 The winning combinations and bonus payouts are given in our Pai Gow Poker Odds table. b) in the event of a tie, the bonus bet is not returned to you. 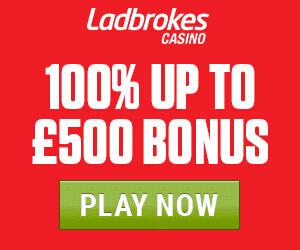 But if, for example, your seven cards contained four of a kind, you would receive a bonus payment of 25 times your bonus bet, regardless of your winnings in the 'normal' play. The odds against getting these hands are larger than the payouts, giving a consequently higher house edge, but the possible payouts suit those who enjoy taking more of a risk. 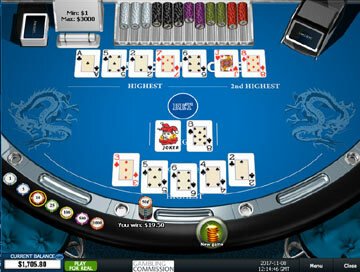 The Five card hand is ranked according to standard poker rules. If you're not sure about these standard rankings, or just need a reference point, click on our Poker Hand Rankings page. The two card hand has to rank lower than the five card hand. Again, standard poker rules apply: a pair of Aces is the highest pair, a pair of 2s the lowest. If the hand is not a pair, it is ranked as a high, named after the highest card i.e. J9 is a jack high. 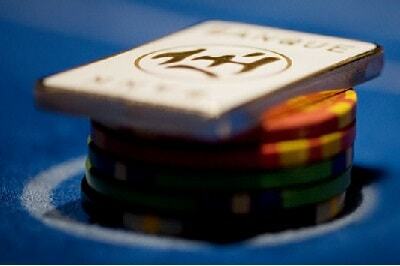 If two 'high' hands have the same highest card, the next highest card is used to determine the winner e.g. if both players have Ace high, one player with AQ and the other with A9, the player with AQ wins. 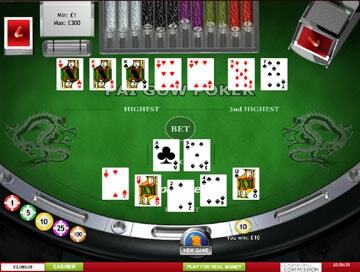 The joker can be used to complete a flush, straight or straight flush, or can act as a single Ace. The House Way is the set of rules that a traditional casino would instruct its dealers to use when setting their hands. 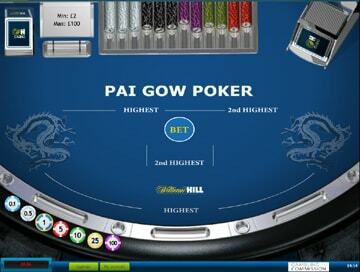 In land based casinos, knowledge of this would form the basis of a winning strategy (see our Pai Gow Strategy page). 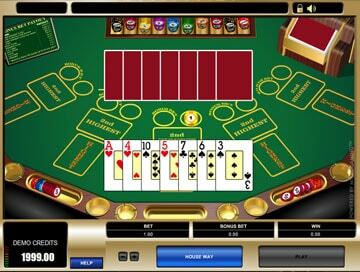 Some online casinos offer a "house way" button. By pressing this, your cards will automatically be set for you using the same rules the dealer/casino uses. Obviously, this negates the edge you may achieve by setting hands manually. The odds and probabilities of forming any poker hand from the seven dealt.